Whether the person is a loved one or a sexual partner, disclosing an HIV-positive status to someone can be scary and stressful. 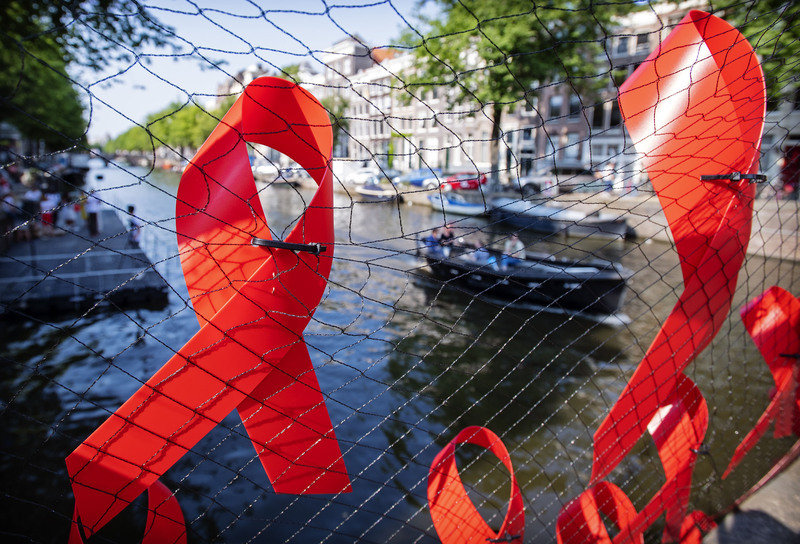 It’s normal to worry about their reaction or about encountering the stigma that surrounds HIV. But it’s important to be brave and speak up, not only for your well-being, but for your loved ones as well. Here are some of my tips and advice on how to approach the subject. Disclosing your HIV-positive status to the ones who have known you longer than you’ve known yourself can be difficult, especially since these are the ones who claim they’ll be there no matter what. How will you ever tell them? What if this is the thing that challenges their place in your life? Although these are scary thoughts, they are just that — thoughts. The stories that we tell ourselves are often the most damaging. Many times, they are nothing close to reality. While parents, siblings, and relatives have been known to be harsh critics of loved ones with HIV, they have been known to be champions, too. Wait until you’re comfortable emotionally before you share the information with others. Be sensitive and patient when sharing your HIV-positive status. You never know for sure how the other person will react. When disclosing to family and friends, be prepared for their questions. They may be personal and even intimidating, but you could be their only form of education about HIV. No matter how their questions come across, they want to understand. Keep your answers as direct and simple as possible. Allow them to be there for you however and whenever they can. No one can get through life effectively alone, healthy or otherwise. Plus, everyone deals with having the virus differently. Whether you’re newly diagnosed or have lived with HIV for a while, it can be a lonely road at times. Having your family and friends around may be a welcome distraction, or a constant reminder for you to persevere. Teaching them how to be a part of your support system can be the best thing that ever happens to you. Revealing that you have HIV to someone you’re about to come into sexual contact with is hard. It can be more difficult than telling your friends and family. But we’re living in the U equals U era, when most researchers agree that an undetectable viral load means the virus is untransmittable. Although many people understand this, there are still people who may be worried or unsure about having sexual contact with someone who lives with HIV. Prepare yourself with the facts. Learn as much as you can about HIV treatments and prevention methods to answer any questions that may arise. Support works both ways. If necessary, encourage them to get tested and offer to go with them. Whether this is someone you plan to be with long-term, or just a casual encounter, it’s important that you make any sexual partners aware of your status. Relax and share the information as if you’re the one who has to hear it. Put yourself in their shoes and envision how you’d want to be told if it were the other way around. Reassure your date or partner that you follow a healthy lifestyle, adhere to your medication, and actively see a healthcare provider. Remember, HIV is not a death sentence. Think of it this way: Telling your intimate partner can either bring you closer together, or stop any further interaction. If it brings you closer, great! Stay focused on communication and seeing where your relationship goes. If they no longer want to be involved with you after disclosing, it’s better to know this now, rather than finding out after you’ve become invested in a relationship. Stigma only has power when we give into it. The reaction of your date or partner doesn’t serve as the reaction of everyone that you’ll ever disclose to. There is someone out there who is going to love your honesty and find your transparency quite attractive. There’s no single best way to tell someone that you have HIV, and not everyone will react the same. But disclosing your status can also strengthen your relationship and give you the support you didn’t even know you needed. By researching the facts and being honest and patient, you may find that it becomes a little bit easier. David L. Massey and Johnny T. Lester are partners, content creators, relationship influencers, businessmen, and passionate HIV/AIDS advocates and allies for youth. They’re contributors for POZ Magazine and Real Health Magazine, and own a boutique branding/imaging firm, HiClass Management, LLC, which provides services to select high-profile clientele. Recently, the duo launched a luxury loose leaf tea venture called Hiclass Blends, of which a portion of the proceeds goes to youth education on HIV/AIDS.